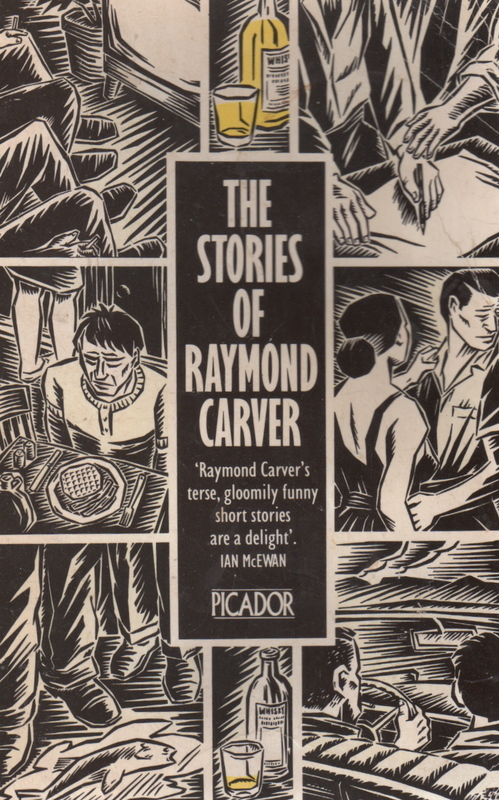 In 1985 I bought a anthology of Raymond Carver’s short stories. The thick Picador paperback included three of his collections: Will You Please Be Quiet, Please (1976), What We Talk About When We Talk About Love (1981) and Cathedral (1983). One of the most memorable stories was “The bath” which appeared in What We Talk About When We Talk About Love. It is about a boy, Scotty, whose mother orders a cake for his eighth birthday. She asks the baker to decorate it with a "spaceship and a launching pad under a sprinkling of white stars”. Two days later, on the morning of his party, Scotty is walking to school when he is knocked down by a car. As I devoured this wonderful anthology, I discovered this story also appeared in in Cathedral in a longer version with a different plot and tone. It had been transformed and retitled “A small good thing”. I puzzled over this for a long time. Why would Carver publish a story twice? This question continued to intrigue me for years until I decided it might be interesting for my students to take the opening pages from each story and compare them. I thought it would be good for the class to decide which was their favourite and to defend their choice in a debate. To prepare for the exercise, I went to Google and was finally able to find out why there were two stories, two titles, two versions. 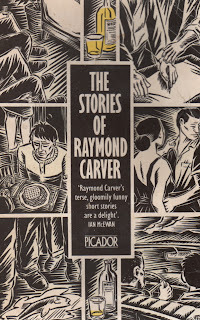 I discovered that “A small good thing” was the story that Carver had first written. That his editor, Gordon Lish, had reduced it by a third and retitled it “The bath”. That Carver had felt unable to resist the painful cuts and changes. Gordon Lish's career in publishing began when he was employed as a part-time editor in Palo Alto, California, where he was a friend and drinking buddy of Carver’s. In 1969 Lish persuaded Esquire to hire him as its fiction editor and he sealed the deal by promising the magazine to find new voices. One of the first was Raymond Carver. At the beginning of his career, Carver was grateful for Lish’s help, but as time went on, he became uneasy about Lish's aggressive editing. In July 1980 Carver wrote Lish a long letter telling him he could not publish the heavily-edited stories in What We Talk About When We Talk About Love. “Maybe if I were alone, by myself, and no one had ever seen these stories, maybe then, knowing that your versions are better than some of the ones I sent, maybe I could get into this and go with it.” In the end, the stories were published as Lish, rather than as Carver, wanted. I have to nail my colours to the mast and say that I prefer Lish’s versions of Carver. For me, his cuts were hugely effective because the reader is left to judge what a character is thinking or feeling rather than being told by the author. I was more gripped by "The bath" because I wasn’t sure at the end whether Scotty had lived or died. That suspense was taken away in “A small good thing” where the ending in unequivocal. But don’t take my word for it. Go to Carver’s collected works. Read both stories, then decide for yourself if Lish’s red pen served Carver—or his own reputation as a fierce, uncompromising editor.